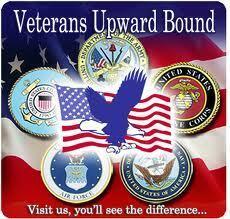 Veterans Upward Bound (VUB) helps prepare Military Veterans for success through Higher Education. VUB assists Veterans with post-secondary search, the application and admission process, and informs them of various ways to finance their education. VUB offers Veterans only refresher classes in Math, English, Science, and Computer Skills, as well as provided time saving links to other agencies. The mission of the Veterans of Foreign Wars (VFW) is to foster camaraderie among United States Veterans of overseas conflicts. To serve our Veterans, the military, and our communities. To advocate on behalf of all Veterans. Their vision is to ensure that Veterans are respected for their service, always receive their earned entitlements, and are recognized for the sacrifices they and their loved ones have made on behalf of this great country. The VFW also has a Ladies Auxiliary program. 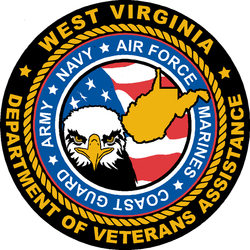 The mission of the West Virginia Department of Veterans Assistance (DVA) is to obtain for a Veteran or their dependants all benefits that they are entitled to and to assist them in obtaining and preparing the evidence that will prove their entitlement. In addition, the DVA encourages communities to develop and enhance local Veterans services. The DVA also provides representation during the appeals process. 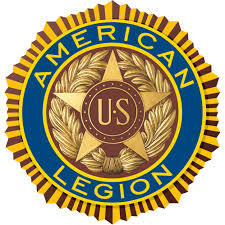 The American Legion is a patriotic Veterans organization devoted to mutual helpfulness. It is the nation's largest Veterans service organization, committed to mentoring youth and sponsorship of wholesome programs in our communities, and continued devotion to our fellow service members and Veterans. The American Legion also has a Ladies Auxiliary. 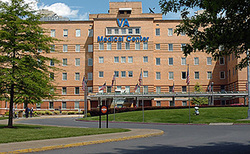 The Louis A. Johnson Veterans Affairs Medical Center exists to serve the Veteran through the delivery of timely quality care by staff who demonstrate outstanding customer service, the advancement of health care through research, and the education of tomorrow's health care providers. In addition to the main facility, four community-based outpatient clinics are located in Braxton County, Monongalia County, Tucker County and Wood County. Vietnam Veterans of America (VVA) is a not-for-profit corporation whose goals are to promote and support the full range of issues important to Vietnam veterans, to create a new identity for this generation of veterans, and to change public perception of Vietnam veterans. There is also a post in Mannington (304-986-3620).